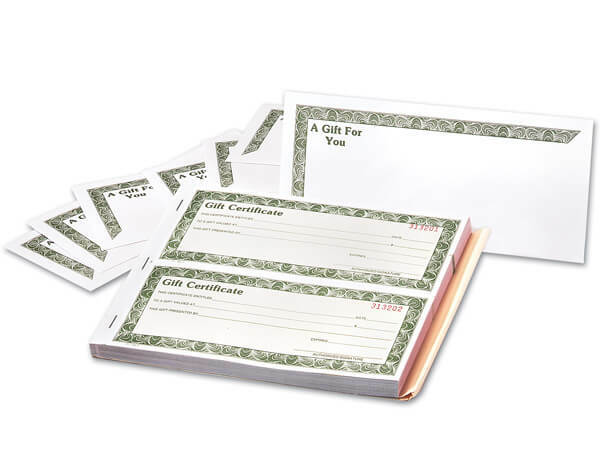 3 Part Gift Certificates w/Envelope 8-1/2"x 3-1/2"
Gift Certificates boost sales by allowing customers to shop for those hard-to-buy gifts at their convenience. Available in popular styles. Made in the USA. For printed certificates, personalized with your store information, call our Custom Print Department!